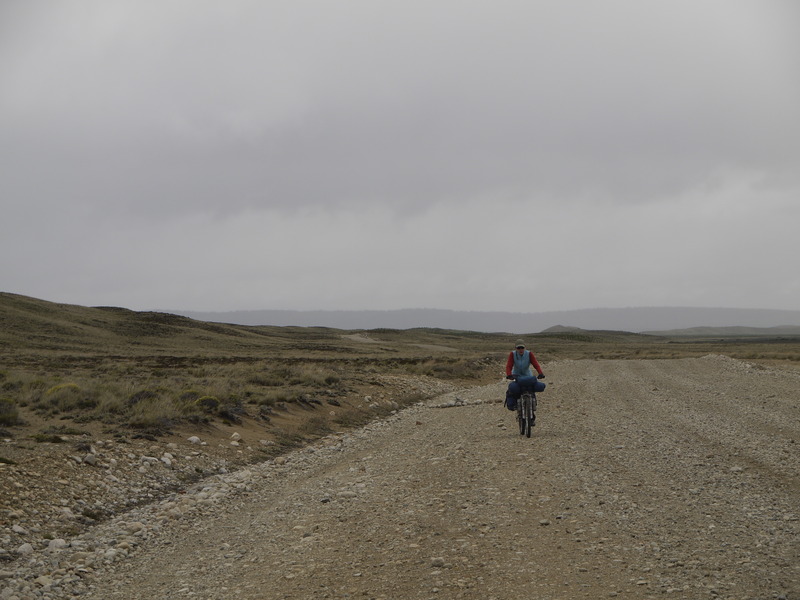 Just about every step of our detour away from the Carretera Austral, across the Andes and into Argentina remained shrouded in uncertainty right up until the point when our tire tracks stretched along the road. Or track. Or path. 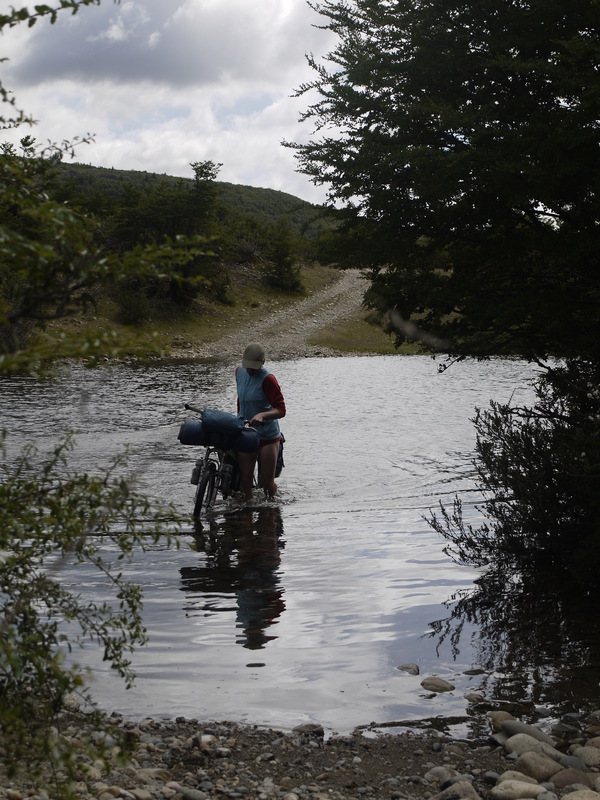 For starts, the road we took south of Corcovado, Argentina, was not on any of our paper maps. Only my MapearExtremo GPS basemap indicated there might be a road heading south along the Rio Corcovado. 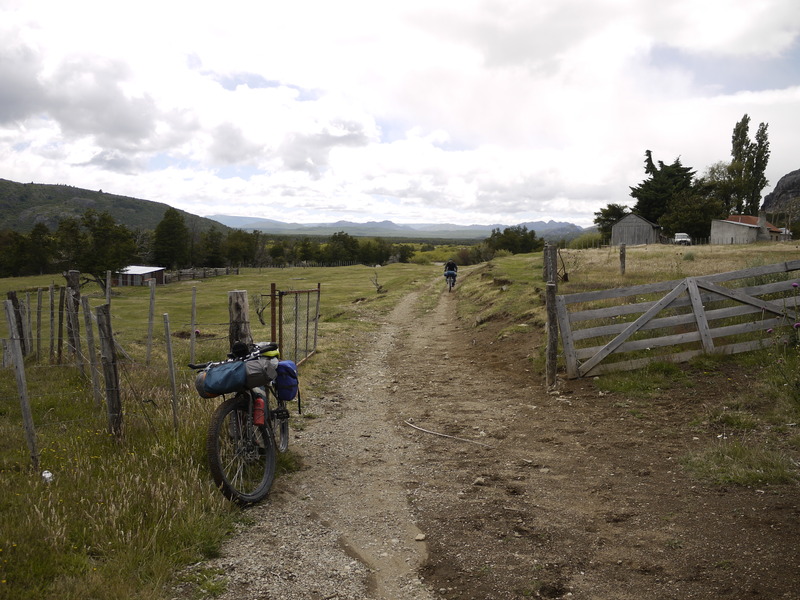 When we crossed into Argentina near Palena, a chilean policeman swore to us that our planned return route, over Paso Las Pampas, was in such rough shape that it would take three days on a horse to cross between Aldea Las Pampas back to maintained road at Lago Verde, Chile. 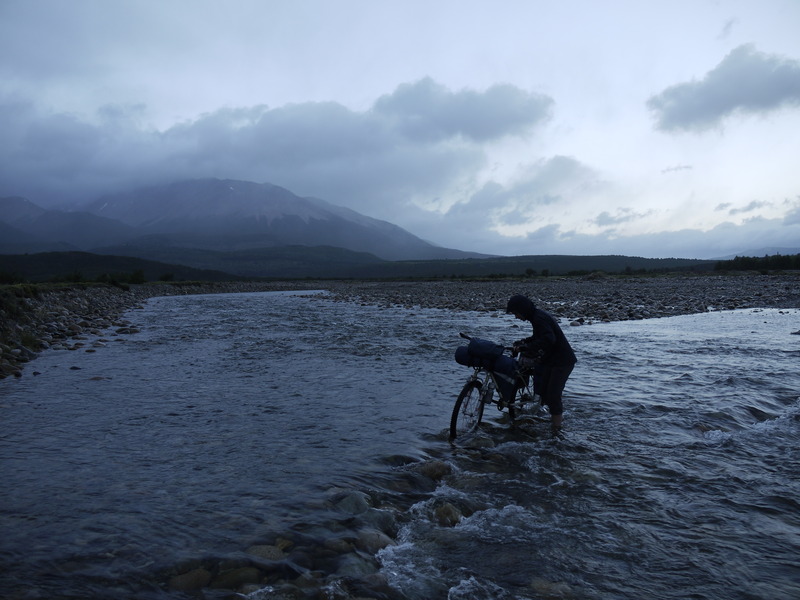 The Argentine borderguards, on the other hand, confirmed that there was indeed a manned border post at Paso Las Pampas but that we would have to cross three unbridged rivers, which he assumed would be swollen by the rain. 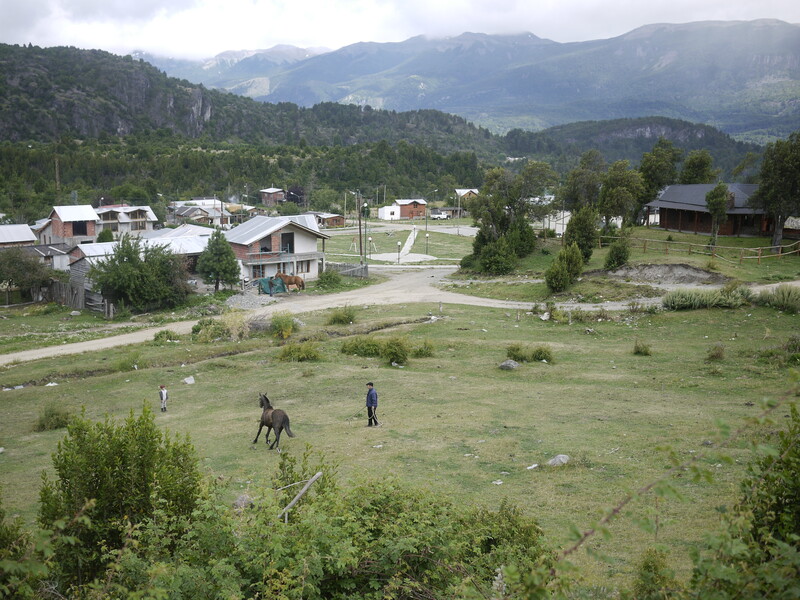 To complicate matters, we had only 100 Argentine pesos (about $10), and we would not pass through a town with a bank. Unable to exchange Chilean pesos in Corcovado, we spent all our money on rice, bread, and butter to (hopefully) get us back to Chile in two days. But, as often is the case, our departure from the beaten path was rewarded with the best riding. We were passed by less than 10 cars over two days. Having unexpectedly climbed up to 1200m (from 200m), up gruelling switchbacks, nearly to treeline, we were greeted to the heights by two giant andean condors. We left the road for a few hours to cut off a completely superfluous descent and climb, riding along cow trails, hoping they were taking us in the right direction. This was Panthea’s first time really mountain biking and the loaded bikes didn’t make it easy. 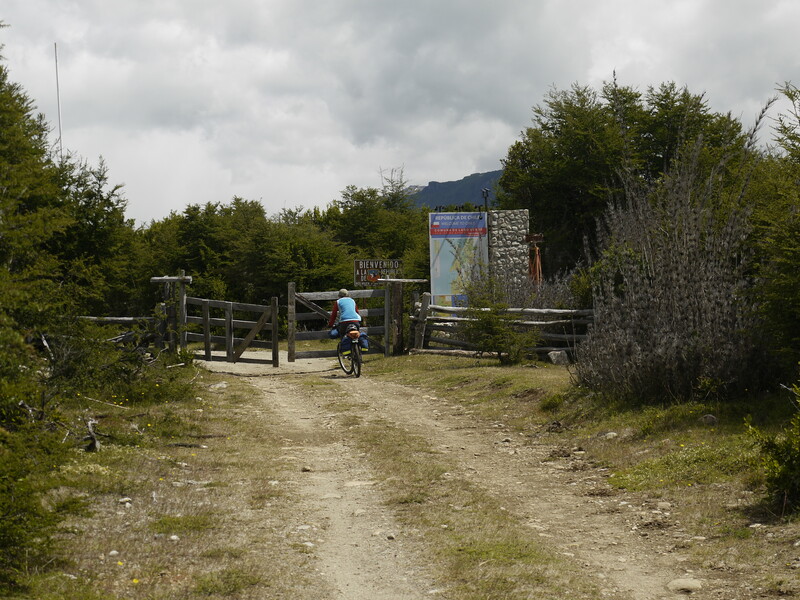 The “impossible” trail from Aldea Las Pampas to Lago Verde was entirely manageable on bikes. In fact, it was such a highlight that it inspired this post. Here are some pictures. Breaking a horse in Carreleufu. Loose eggs and baseballs make up long stretches of the road surface. My fat tires are a huge advantage in such conditions. Panthea’s introduction to mountain biking. It was frustrating to be learning on a loaded bike. But then we saw an owl, so Panthea was happy. A fuzzy picture of the owl. Yes, this trail leads from an official customs post, through many gates, and across an international boundary. We slalomed through an recent burn. And then came across the geographic Argentina-Chile frontier. 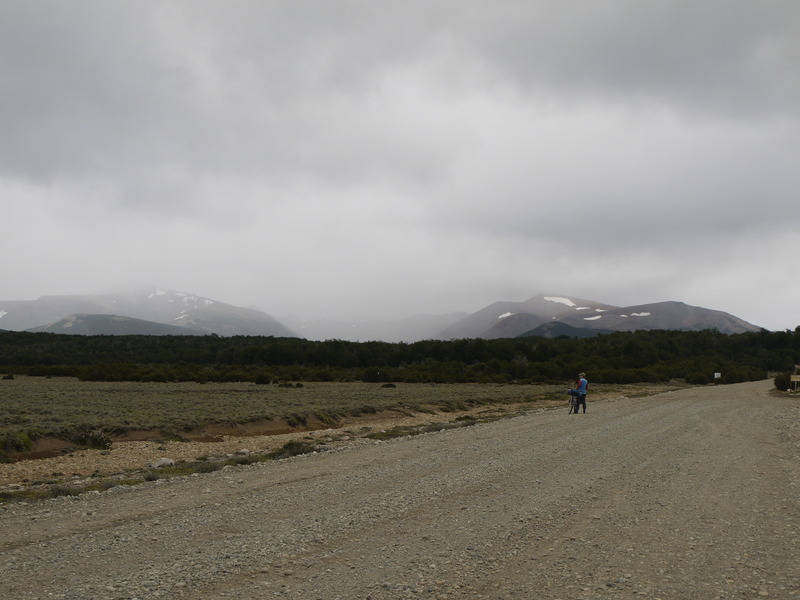 Out small detour into Argentina spit us back out onto the rainy Carretera Austral 68km south of where we left it, some 300km later. 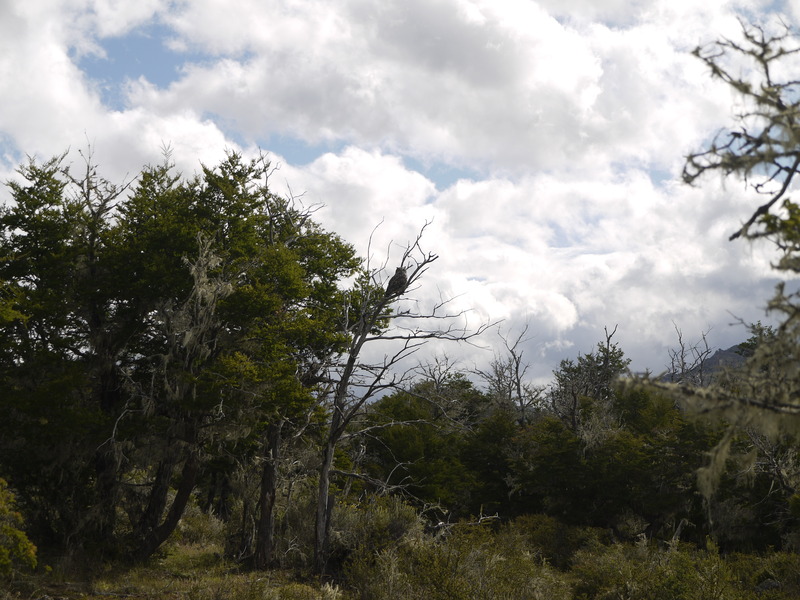 Since then, we’ve made our way down the Carretera to our current location at Puerto Rio Tranquilo, 220km south of Coyhaique. That just about puts us to 2000km on the odometer. Your narrative and pictures are breathtaking. What a trip! Post more!!! If you haven’t passed Cochrane, the detour to Paso Roballos is a gem. 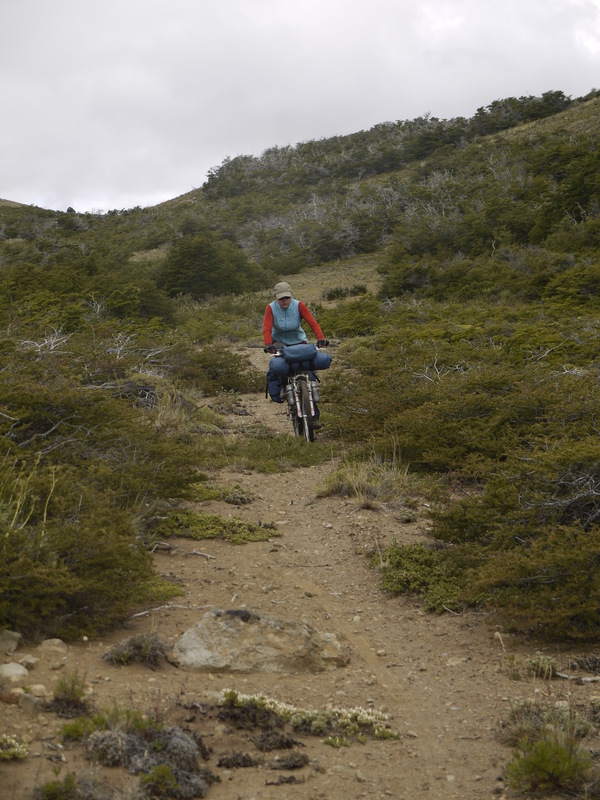 If you go via V o H, the singletrack to Lago Desierto is all but completely rideable, and a joy. 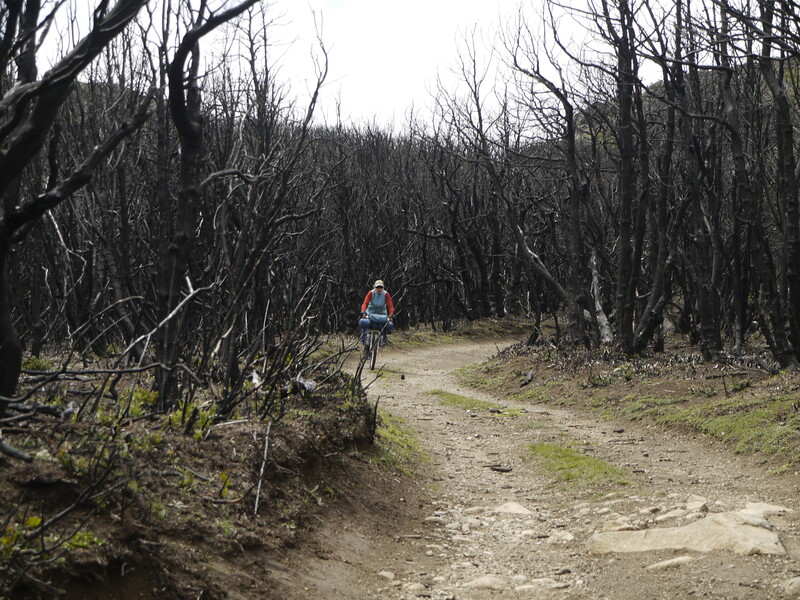 The trail that continues for 12kms to the south side of the lake is… something of a challenge, to say the least. Took me about 4 hours. There’s a ‘cheap’ ferry (30,000) with Lorenzo from V o H, and then another ‘cheaper’ ferry to the south side of Lago Desierto. Am in El Chaiten, will be here for another day or two, then resting up in El Calefate. Skyler & Penthea – Nice pictures! Enjoy the ride, (off)road warriors! Lisa and I (Matt) made it to Caleta Tortel thus far. Beautiful sunny rides across the Carretera. We are off toward El Chaiten shortly. Cheers. Do you have any more route info on this? GPX file? We’ll be there in a few weeks and are looking for adventurous detours; any other suggestions are also welcome! PS We were riding with Dan and Gina (fatcycling) for a while but decided not to attempt the GPT with them. They told us you were also heading up that way, good luck, hope it’s not too much of a slog! No gpx file. Sorry. Send me an email about other ideas though.